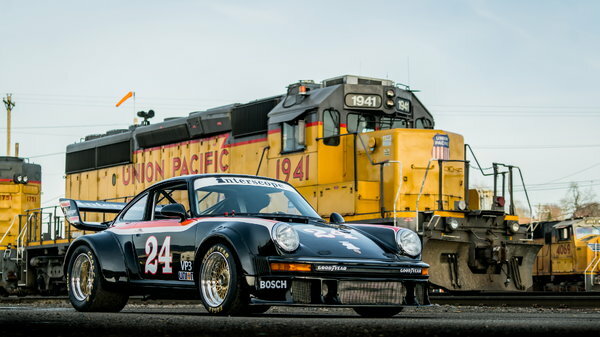 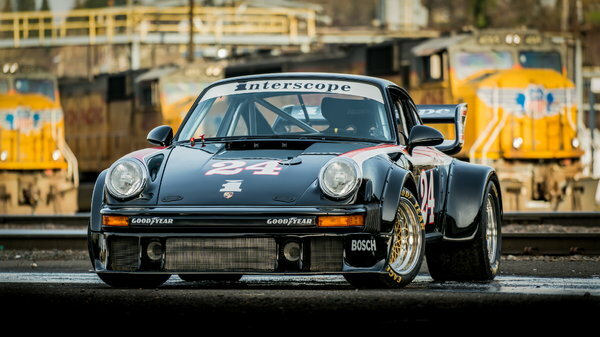 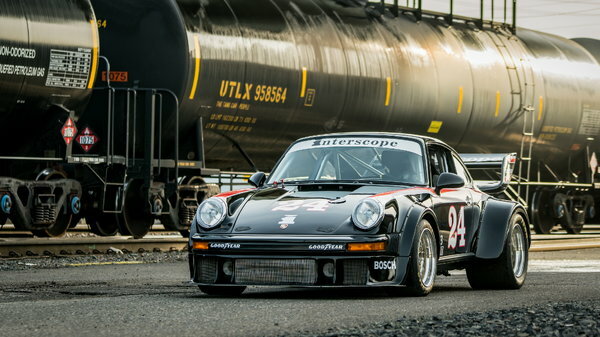 This 1986 Porsche 911 Turbo was previously converted into a driver’s education track car by Chris’s German Auto Service and was driven in PCA and DE events. 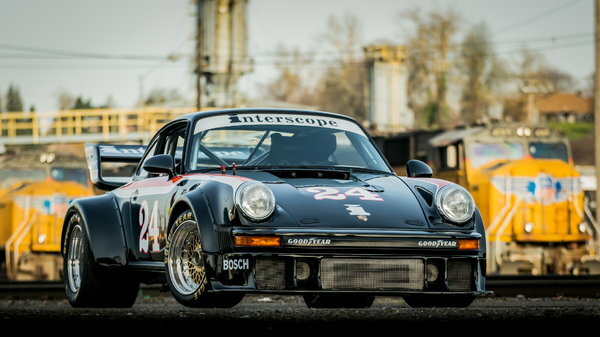 The current owner acquired the car in 2016 and commissioned the installation of 934.5-style bodywork and center-lock BBS wheels, as well as brake and suspension work. 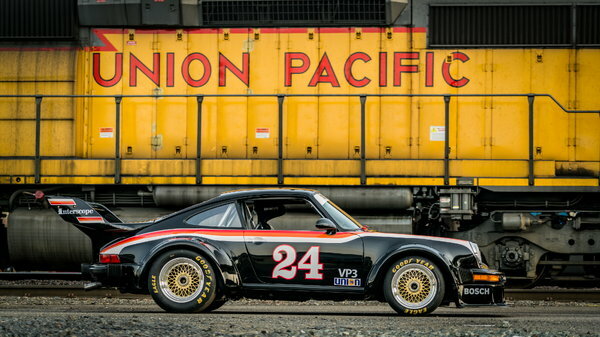 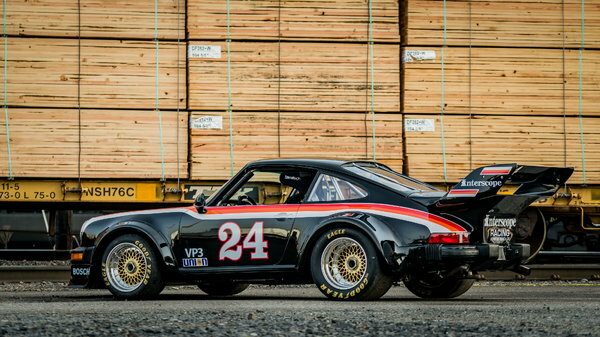 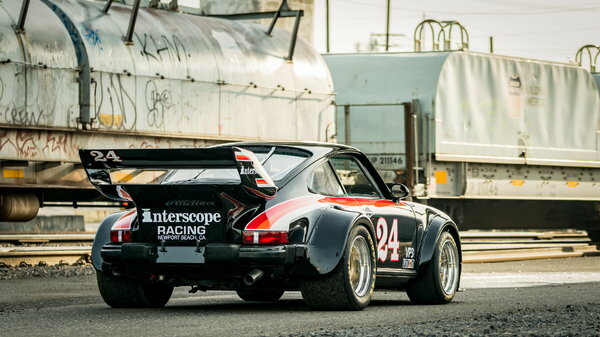 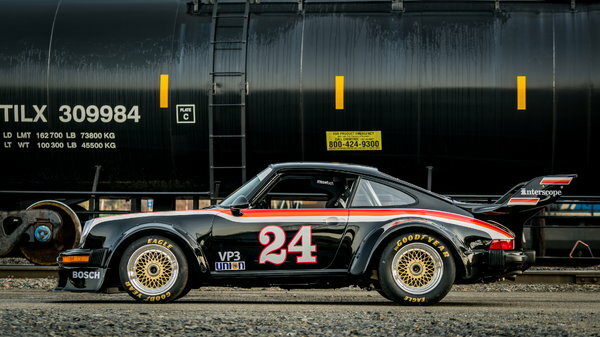 The exterior was then refinished in a livery that pays tribute to the Interscope-sponsored Porsche 934.5. 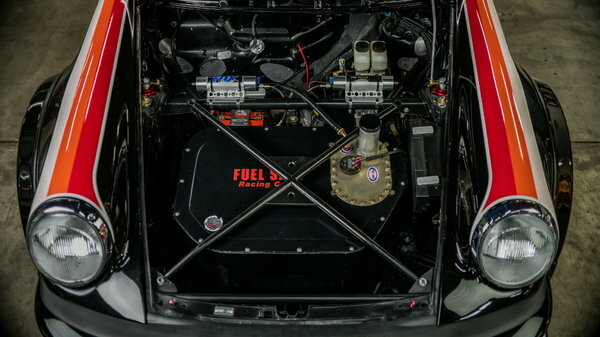 The modified 3.3L turbocharged flat-six features twin-spark ignition and MoTeC fuel management. 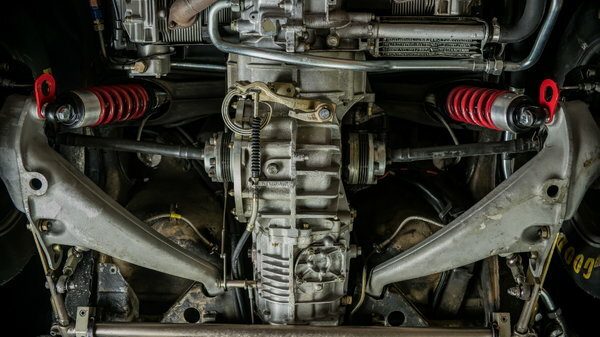 Rothsport performed an engine overhaul in 2015 that included new head studs, connecting rod bearings, exhaust valve guides, and a Turbosmart wastegate. 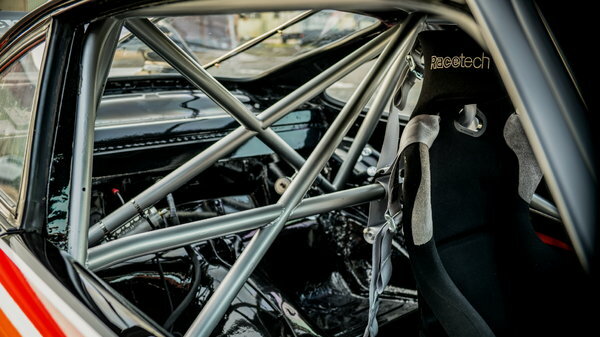 The 4-speed manual gearbox has been reportedly upgraded with stronger gears and bearing support. 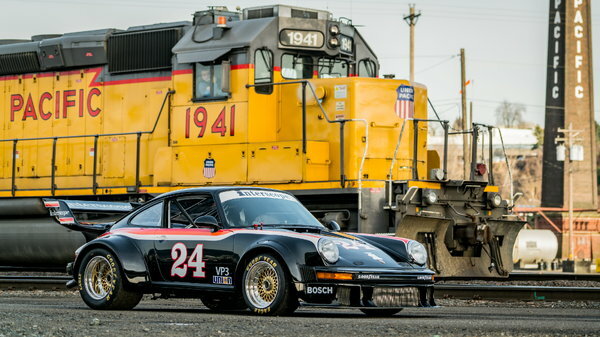 Just 150 miles have been added by the current owner, and the car was taken on track for a test session since the latest service. 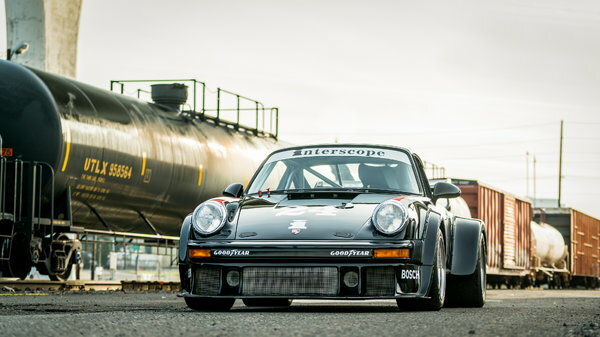 This 911 Turbo is now offered by the selling dealer on behalf of the current owner in Portland, Oregon with an SCCA, a CACC logbook, and a bill of sale.The chassis was stripped down in 2017 and fitted with DP Motorsports 934-style bodywork, including the hood, front bumper, and fender flares. 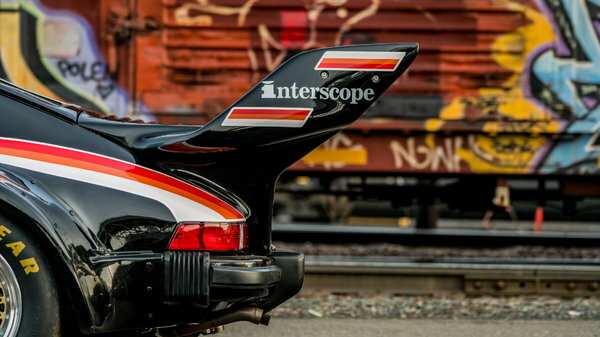 DP also provided the Interscope 934.5-style tail section. 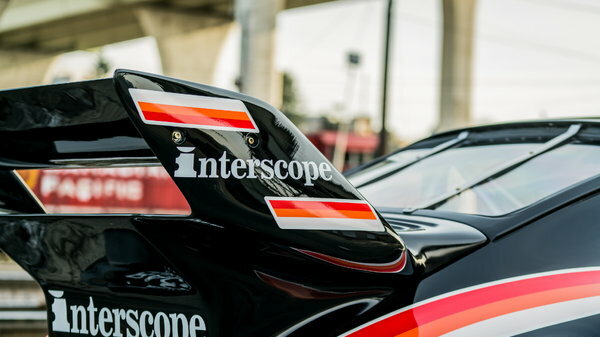 The exterior was refinished in black and features Interscope’s signature pink, orange, and terra cotta racing stripes. 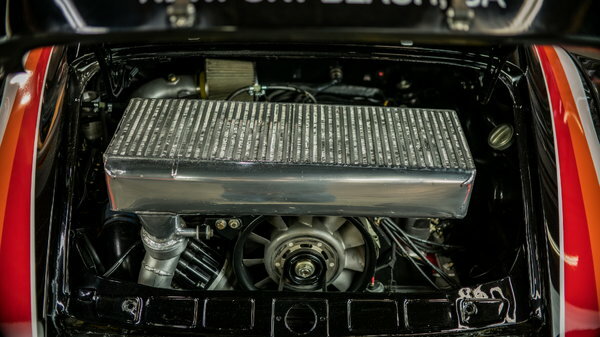 Ducting guides air to the three Setrab oil coolers up front and the front under tray is removable for service. 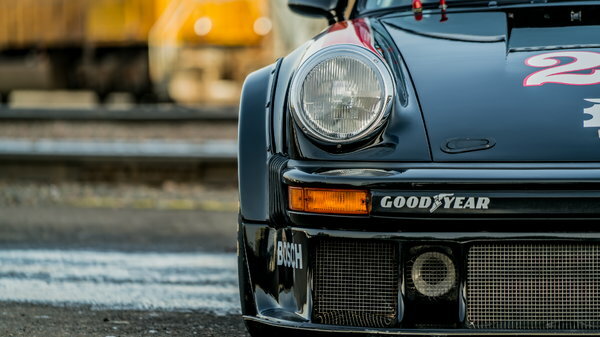 H4 headlamps are fitted with chrome bezels, the front turn signal lamps are retained, and red taillights are fitted out back. 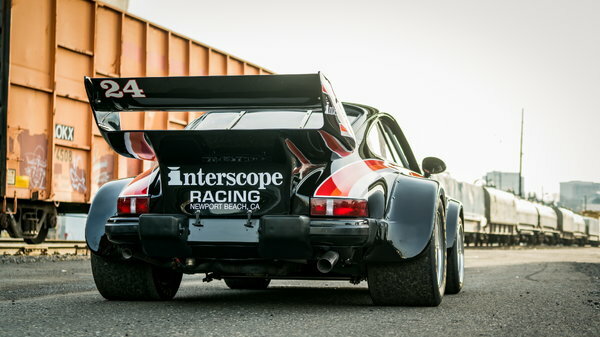 Later 911 aero mirrors are equipped, and the windshield was replaced in 2018.16″ BBS center-lock wheels feature magnesium centers with aluminum barrels and were assembled in 2018 using new seals and fasteners. 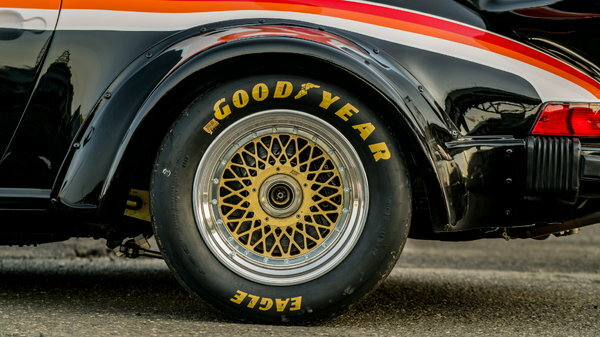 Goodyear Eagle racing tires are mounted, and a second set of wheels and tires are included in the sale. 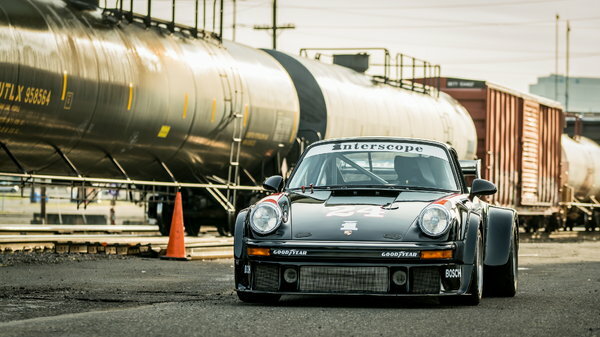 Jim Torres Racing provided the center-locking hubs, and Rothsport recently performed an alignment and corner balance. 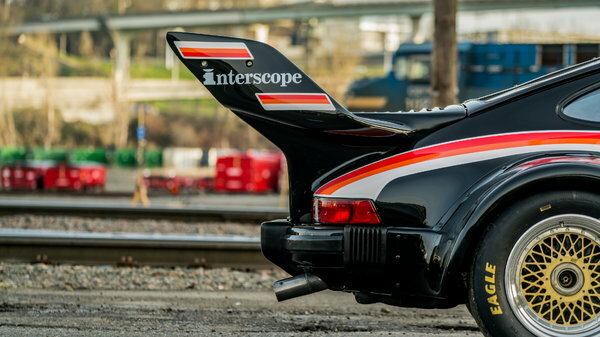 The braking system features dual master cylinders and was overhauled in 2018 with new 993 calipers in front, 930 calipers out back, pads, and custom slotted and vented discs. 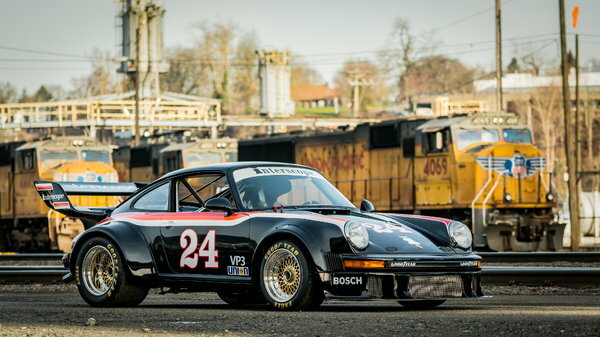 The front brakes are cooled via added brake ducts.The turbocharged 3.3-liter M930 flat-six has been upgraded with a MoTeC M84 fuel management system, 3.2 Carrera oil-pressure fed chain tensioners, and twin-spark ignition system. 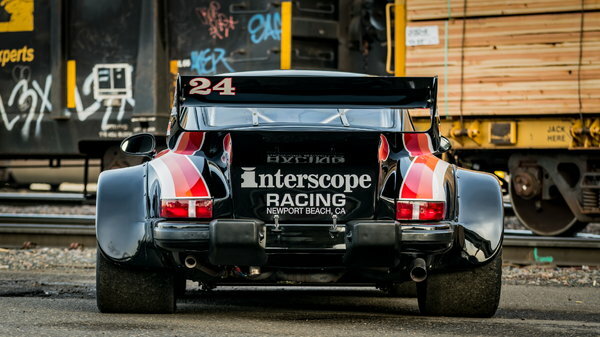 Rothsport performed an engine overhaul in 2015 which included new racing-spec rod bearings, fitment of new Dilivar head studs, and new exhaust valve guides. 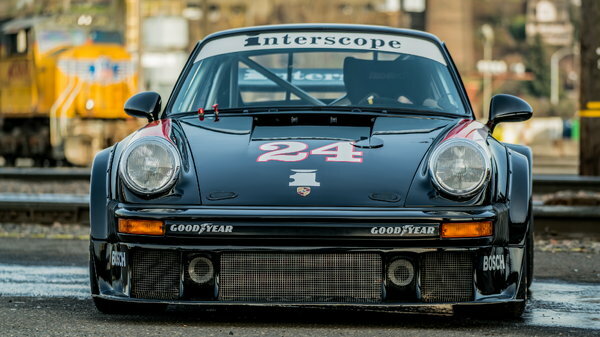 A 50mm Turbosmart wastegate was also installed along with new rubber oil lines.